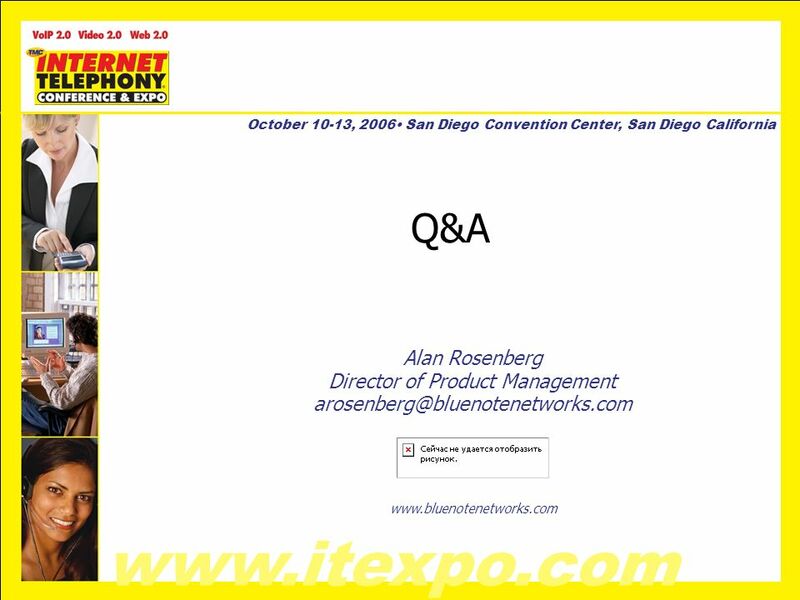 www.itexpo.com October 10-13, 2006 San Diego Convention Center, San Diego California VoIP/SOA Integration Impact on IT Apps, Processes, & Overall Business. 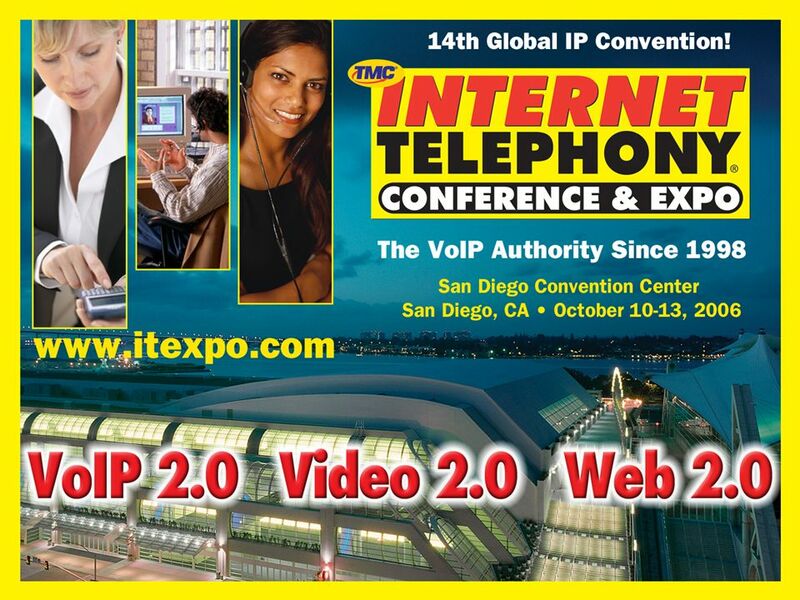 4 www.itexpo.com October 10-13, 2006 San Diego Convention Center, San Diego California VoIP Delivers Limited Convergence VoIP offers network layer convergence, but –Separate management & provisioning systems Different tools & staff –Monolithic IP PBXs Outside realm of datacenter –Limited APIs TAPI, JTAPI Vendor specific –How can telephony services deliver value to business processes? 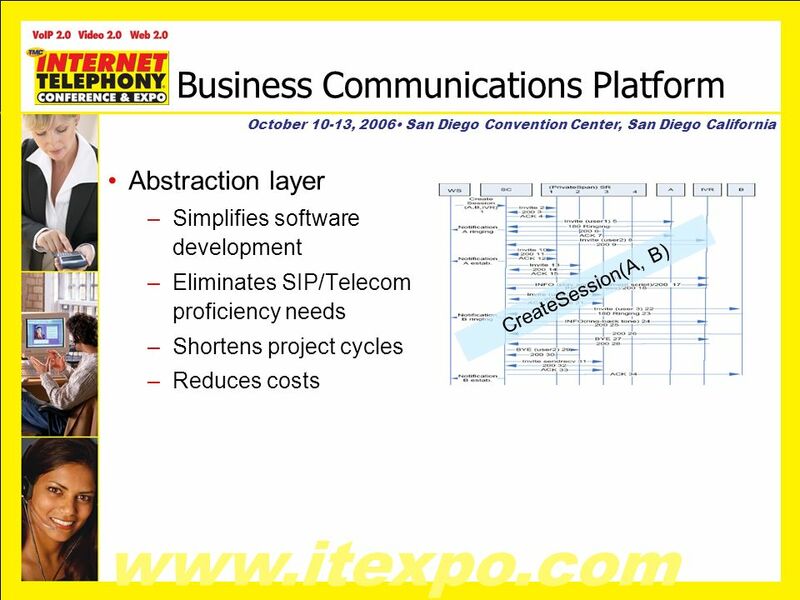 Download ppt "www.itexpo.com October 10-13, 2006 San Diego Convention Center, San Diego California VoIP/SOA Integration Impact on IT Apps, Processes, & Overall Business." 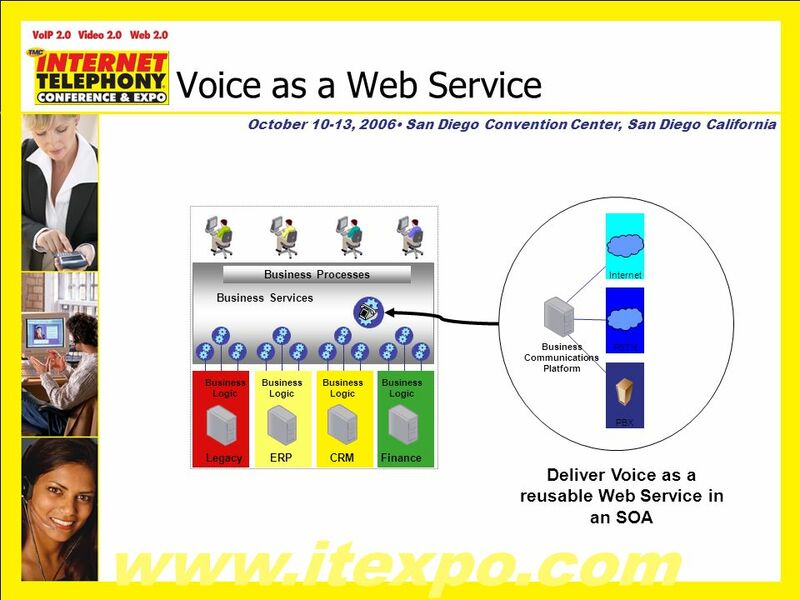 1 © 2004 Cisco Systems, Inc. All rights reserved. 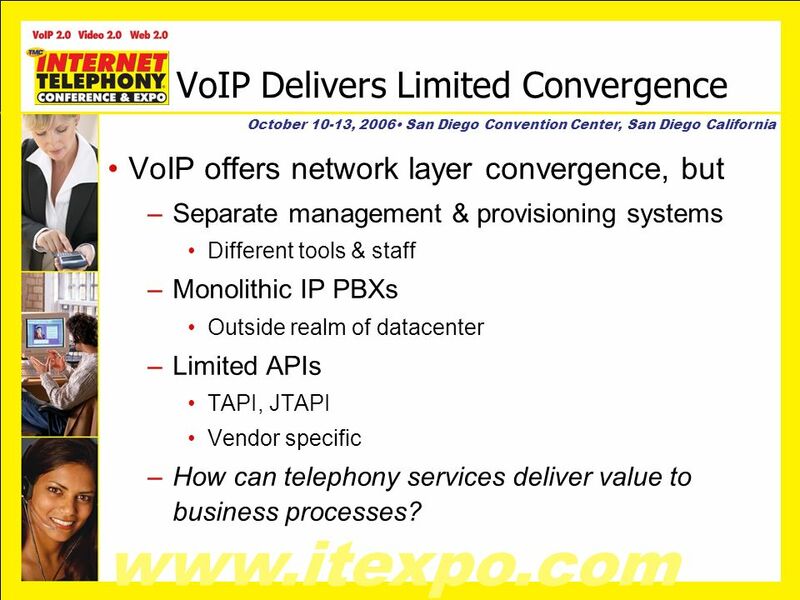 Session Number Presentation_ID The spoken words remain IP and Video Telephony Recording from TC & C Anthony. 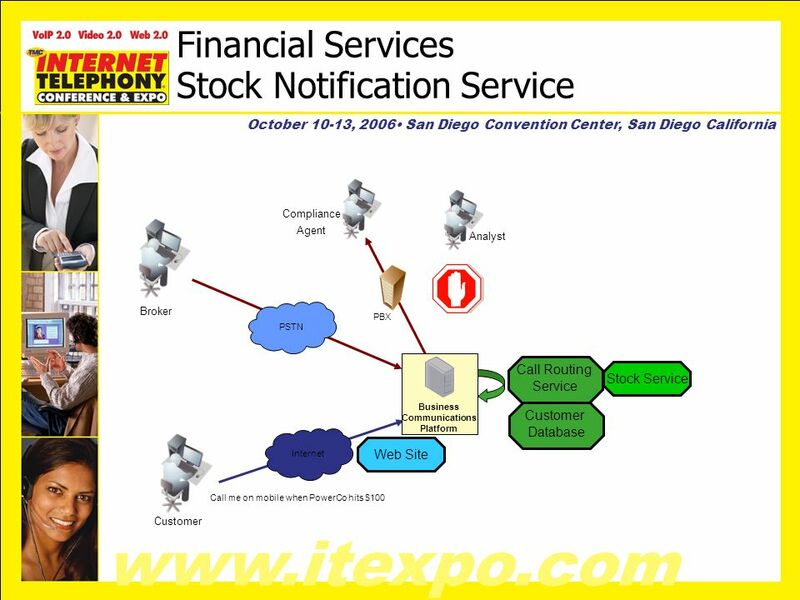 SIP & SS7 (SIP-02) Monday - 09/10/07, 10:00-10:45am. 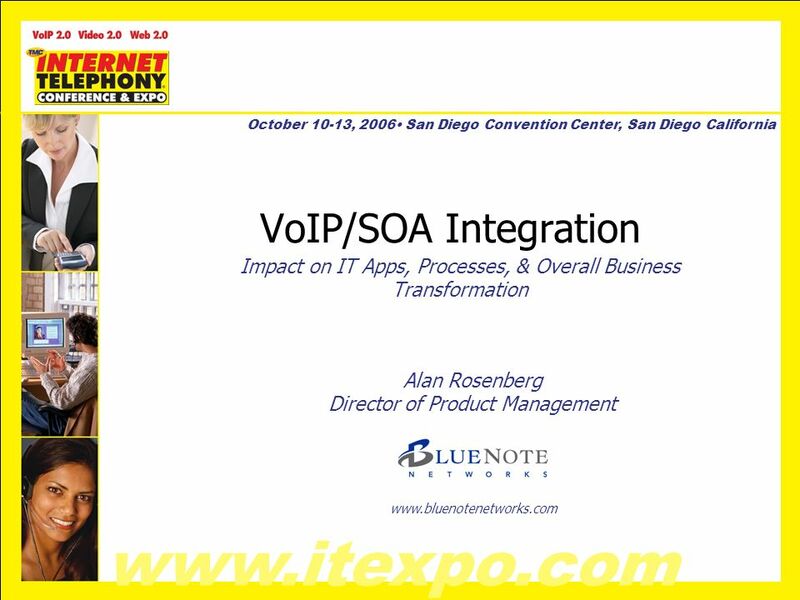 Building Applications with SIP Conferencing / Collaboration Alan D. Percy Director, Market Development AudioCodes. 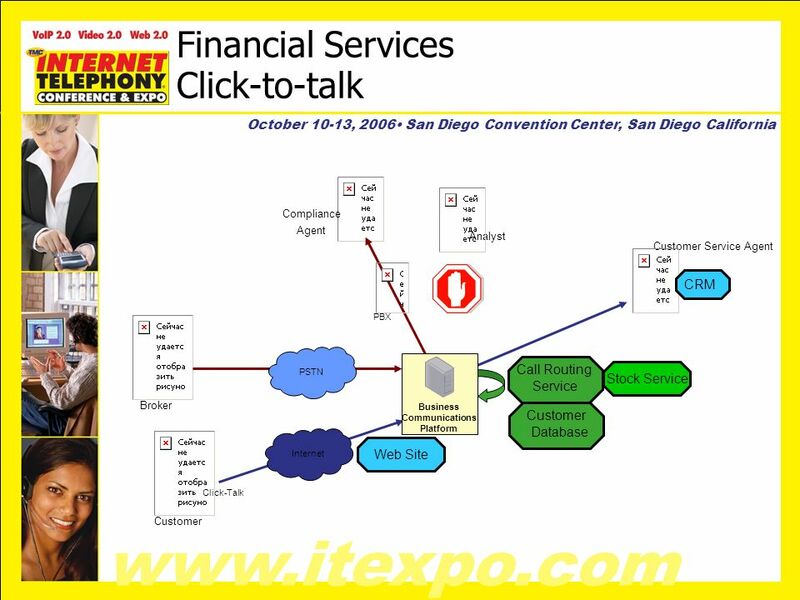 1 © 2006 Avaya Inc. All rights reserved. 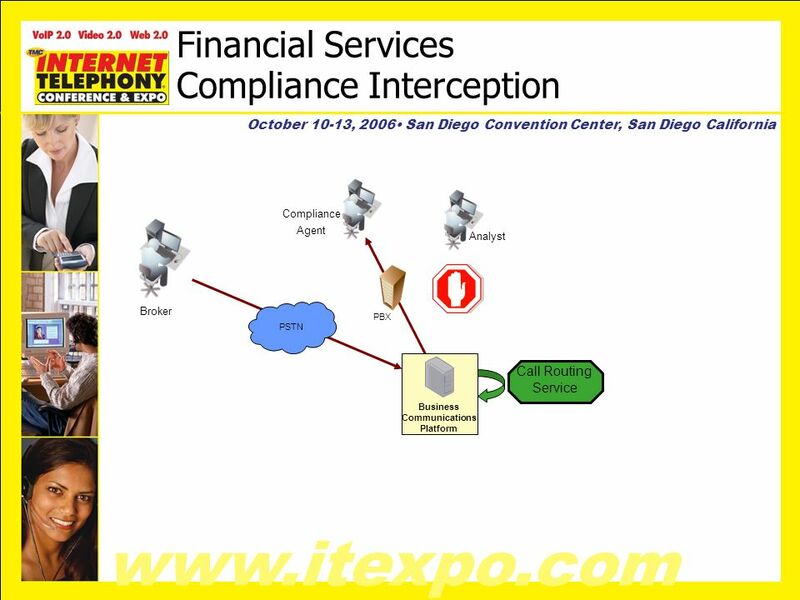 Avaya – Proprietary & Confidential. 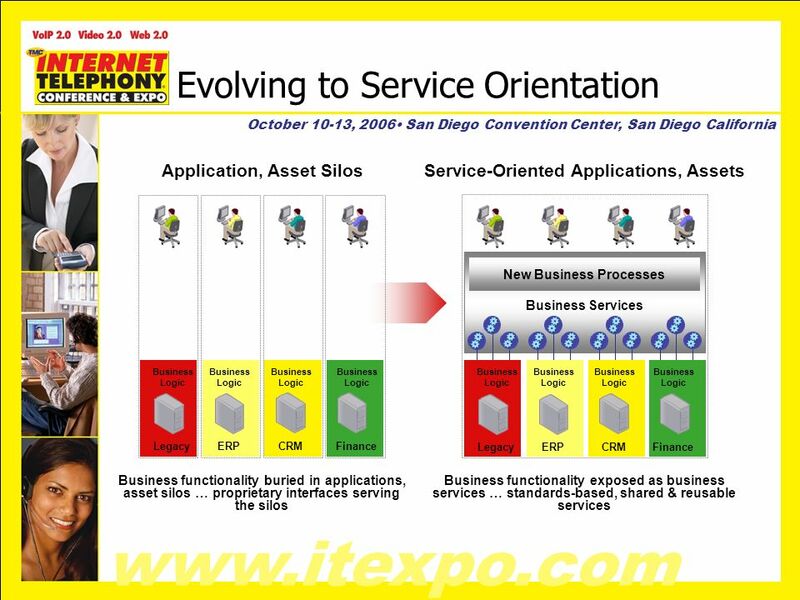 Technology Enabling the Avaya Vision Technology Enabling the Avaya Vision. 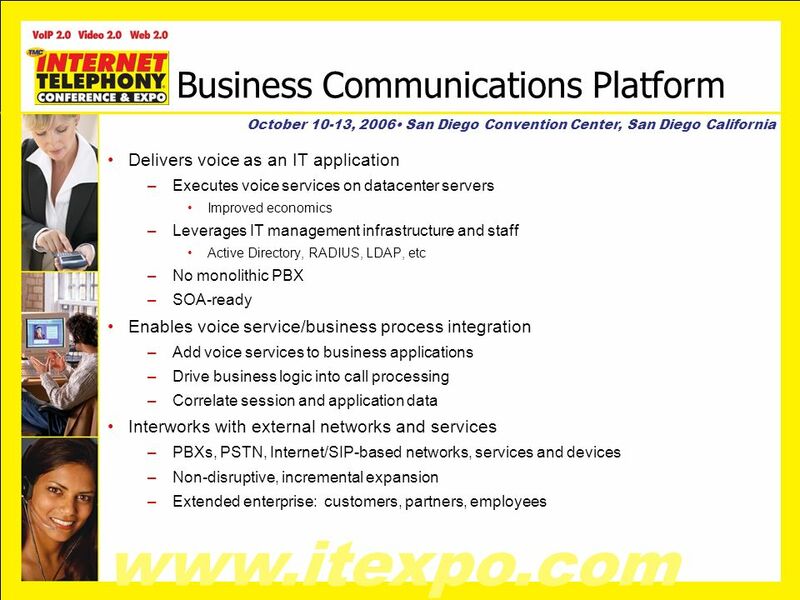 Greg Pisano Director, Market Development BlueNote Networks Enhancing Business Processes with IP Telephony, Web Services, and Unified Communications. 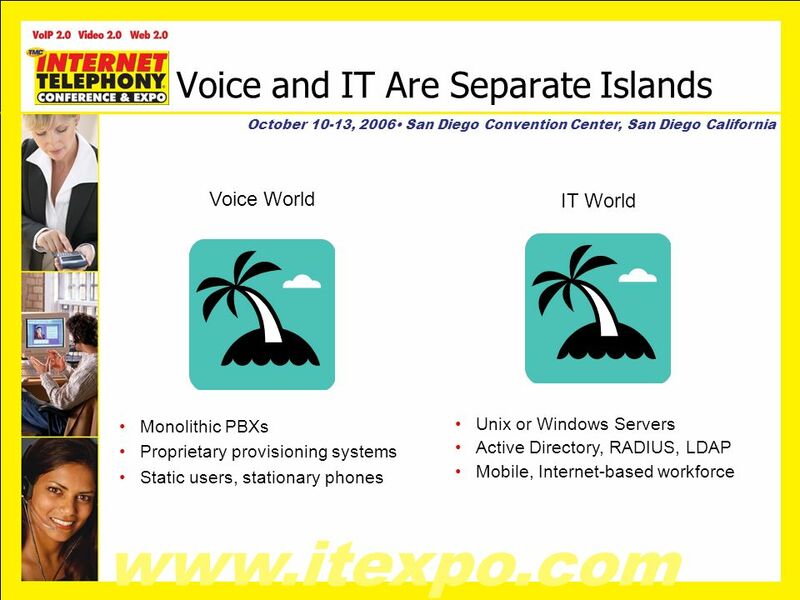 Data Centers and IP PBXs LAN Structures Private Clouds IP PBX Architecture IP PBX Hosting. SIP-based Application Development SIP International 2004. 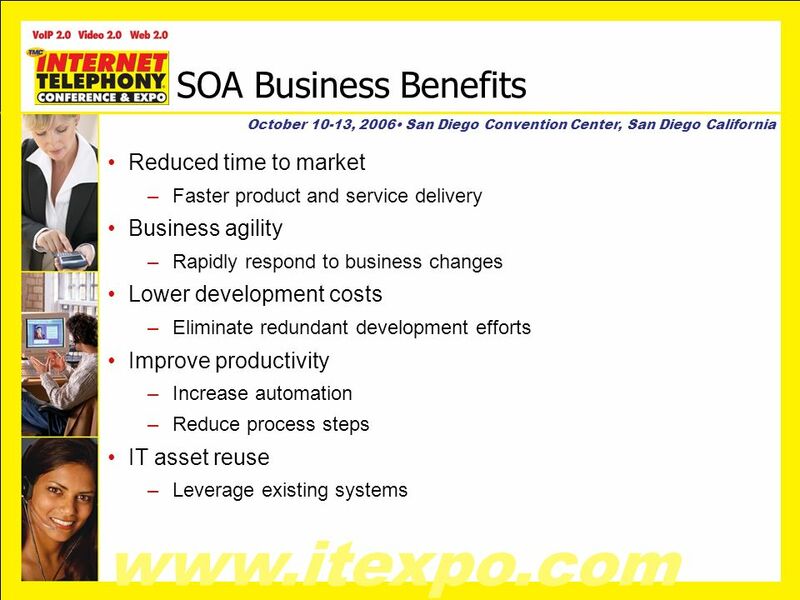 © 2005 IBM Corporation IBM Business-Centric SOA Event SOA on your terms and our expertise Operational Efficiency Achieved through People and SOA Martin.